Congressman Dana Rohrabacher currently represents California’s 46th Congressional District. The District stretches along the Pacific coastline of Orange County and Los Angeles – and includes part of Southwest Santa Ana. 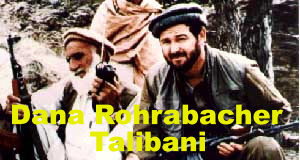 Rohrabacher is known for his crazed rants and his early support for the Taliban, back when they were called the Mujaheddin and they were fighting the Soviets. He is also famed for his anti-Mexican and anti-immigrant views. 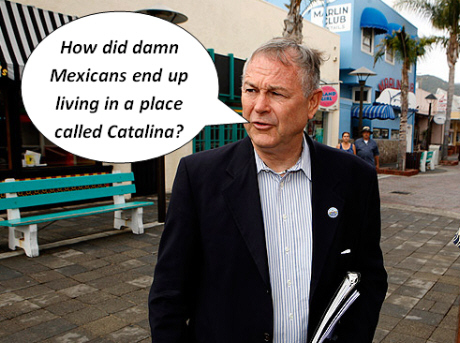 For example, in 2010, Rohrabacher visited Catalina Island, as reported in the Orange Juice blog, where he harassed the Mexican Consult who was involved in preparing legal matricula consular I.D. cards for Mexican citizens. The good news is that California Redistricting Commission’s new map of the 46th has shifted the lines considerably such that Rohrabacher will no longer represent any part of Santa Ana. 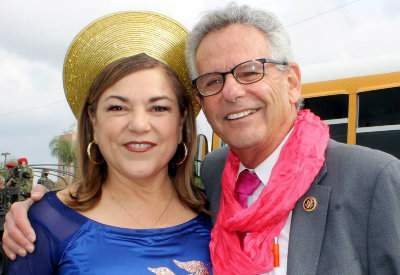 Santa Ana will now be wholly in the 47th Congressional District, which is represented by Congresswoman Loretta Sanchez. The bad news for Rohrabacher is that his district will now be shoved into fellow Republican John Campbell’s District. The new District will include parts of the Cities of Irvine, Newport Beach, Costa Mesa, Seal Beach and Huntington Beach. Campbell will have a distinct advantage over Rohrabacher in the new District. We can but hope that Campbell, who is more moderate than Rohrabacher, will finally retire the hateful Rohrabacher once and for all!